The second round of Race to the Top proposals to the Federal Government were due by June 1, 2010. We were fortunate in Missouri NOT to have received funding for the second time. I contacted the Department of Elementary and Secondary Education (DESE) to determine which school districts signed and which did not. The first proposal in January 2010 was signed by 99.9% of superintendents, school boards and unions. This second proposal was signed by 346 school districts and boards. Thirty seven of these 346 school districts who signed the Memorandum of Understanding (MOU), DID NOT INCLUDE THE SIGNATURE OF THE UNION REPRESENTATIVE. That translates to over 10% of these districts not receiving union support for Race to the Top. States are graded by the Dept. of Education for support shown by districts and union representatives. It is obvious the Missouri State Board and the Dept. of Education push for these mandates is not popular with taxpayers or the unions. From the records available to me, the second proposal was not signed by 209 schools. (DESE provided a list of schools signing, not a list of those choosing not to participate. I am relying on a website to count schools not signing that is not state sponsored, so these numbers may be off by 2 or 3. DESE lists 557 schools and after due diligence, my total of sign/not sign equals 555). Schools declining to sign were from all areas of the state and represented both urban and rural districts, public and charter schools. The percentage of schools agreeing to federal mandates being instituted fell from a high of 99.9% in January to approximately 63% in May. This is due to two reasons: the union's reluctance of RTTT language and the pressure citizens put on their school districts not to sign on to this proposal. We must keep the pressure on our districts and the State Board. 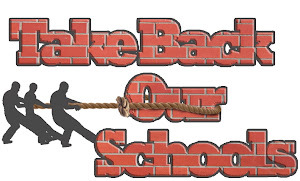 There was a recent war funding bill in Congressional committee which included a bailout attached for teacher salaries. This bailout included the states having to incorporate the four main goals of RTTT. 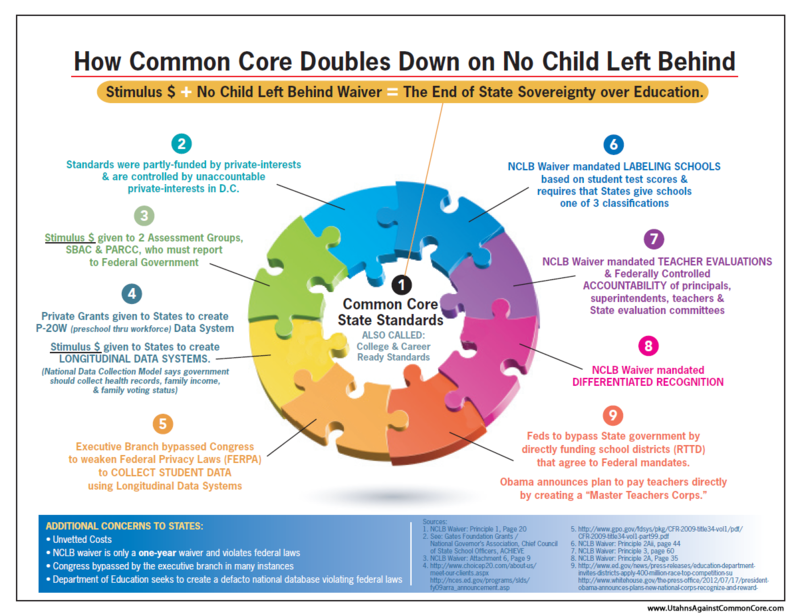 It fortunately was not voted on, but these are how these attempts to gain federal control over state education occur. There have been proposals suggested that would allow the federal funds to bypass the state legislatures and State Boards of Education, and proceed directly to the Governor for his/her dispersal. YOU, the parents and taxpayers, have NO VOICE in this scenario. We need to follow DESE, Governor Nixon, and the Department of Education to determine what is next in the attempted takeover of our state educational decisions and departments. 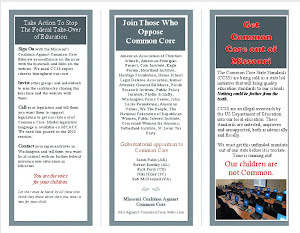 We know the push to pass "Common Core Standards" is on the front burner, and we believe this is wrong for Missouri children. I would urge you to contact your superintendent to tell him/her to say "no" to these national standards. Make your voice heard! If your school district is on the above list, I would urge you to contact your superintendent and school board members to THANK THEM for not signing our state sovereignty away and not agreeing to unfunded mandates. If your school district is NOT on the list, contact your superintendent and school board members and ask them WHY they would agree to a federal takeover of our schools and assigning us more unsustainable debt. Be a watchdog for your district. Our kids' futures depend on it.